Want to join a community garden? Most DUG community gardens are comprised of many separate garden plots that are cared for by individuals or families. Community gardeners care for and harvest from their own plot. Shared spaces like pathways, perennial herb and flower beds, sheds, and gathering spaces are cared for by all members of a community garden. The day to day operations of the garden, including new gardener sign-ups and organization of community work days and potlucks, are handled by volunteer garden leaders or steering committees. 1. Find a community garden close to you. 2. Contact Denver Urban Gardens with the name of the garden(s) you are interested in. We can let you know if there is space available, and give you the contact information for the volunteer garden leader at that community garden. 3. Contact the garden leader to secure a plot. If a plot is available (waiting lists are common), the garden leader will meet you at the garden to select a plot. The garden leader will also share information about social events, maintenance guidelines, fees and forms that need to be completed. All community gardeners must fill out a garden application and waiver for you to join a community garden. 4. If space is not available at your first choice garden, check out our garden list and map, and choose another community garden that is convenient for you. 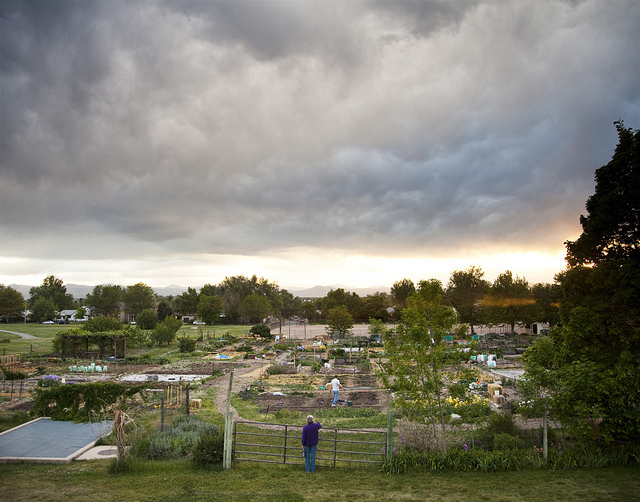 You may also call the Denver Urban Gardens office, and we will help you find an alternative.